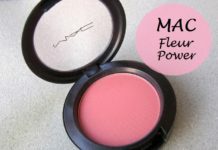 Do you remember your first ever makeup product which led you to this whole new beautiful world of makeup and beauty. It was a Kajal for me. And ever since i started using it , it became a part of my everyday routine. Indian girls and Kajals can never go wrong. I apply kajal everyday because it makes me complete. 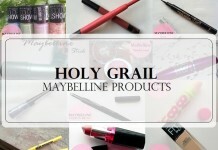 So, today i will review and swatch yet another new launch by Maybelline which is launching new products everyday! This time its a new Kajal added to the colossal family which claims to be 2 times black. 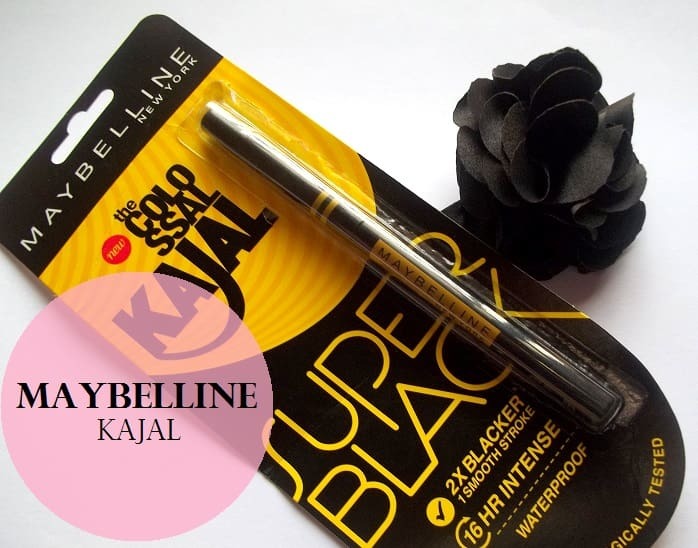 I’m talking about the Maybelline Colossal Super Black Kajal which claims to be blacker than the 12hr colossal kajal. Lets see if it is upto its claims. And when i forget to wear, my girl friends go crazy because they know how much i love kajal. I feel when your kajal is on point, Your life is on point. Dramatic but so true! Lets move to the review. 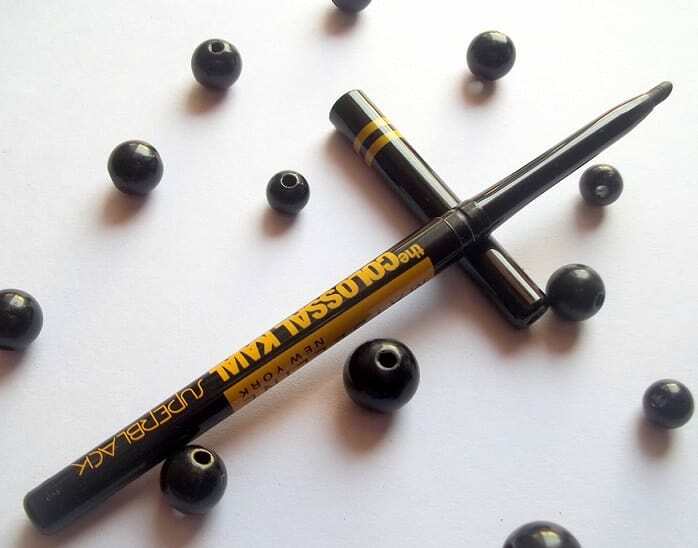 PRODUCT DESCRIPTION: New Maybelline Colossal Kajal Super Black – It gives you a 2X blacker look in one smooth stroke that stays intense for up to 16 hours! I don’t experiment much with my kajals and I stick to the one which works best for me. Currently i am using FACES MAGNETEYES KAJAL which is my favourite till now. 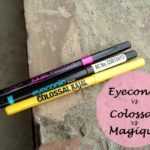 I have used the Maybelline COLOSSAL KAJAL 12hr previously and wasn’t much impressed with it. 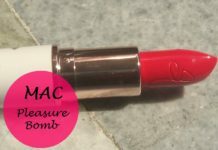 So, this time when they launched a new version, i thought of giving the Maybelline kohl another try. Talking about the packaging, it comes in a normal retractable twist up pencil form. The colour scheme of this COLOSSAL SUPER BLACK is completely opposite to the COLOSSAL one. 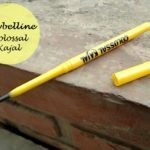 It comes in a black tube pen with yellow detailing. I liked the new packaging. It contains 0.35 g of product which is the same as the previous one. The pricing this time is a bit on the higher side as it costs Rs.300 whereas the normal colossal is for Rs.175. I don’t really get the point of increasing the price to such an extent for a kajal because at this price we can get so many other options. Do read this top 10 kajals in India post if you want to know what I am talking about. Now, lets talk about the super black Kajal. 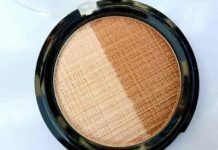 When i first swatched it on my hands, i was surprised with its creamy texture and intense black colour. 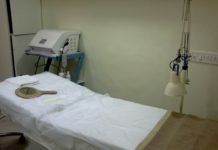 It is very soft and smooth on application. Talking about the 2X Black colour, yes it is much black in colour than the older colossal and other kajals in the market. There were some issues with the older 12hr colossal kajal when i used it but those are solved with this SUPER BLACK one from maybelline. 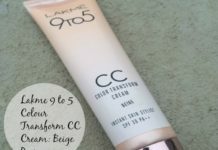 It doesn’t tug and break on application which is a big thumbs up for me. 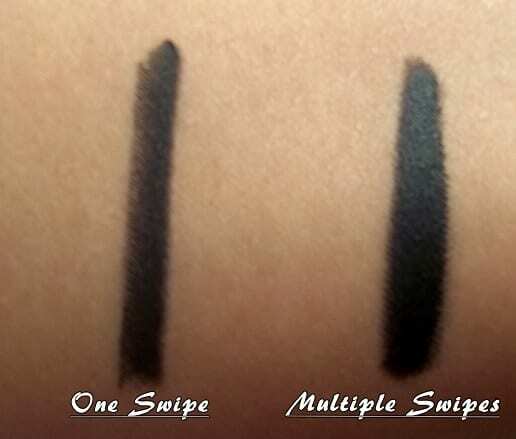 On one swipe it doesn’t give that 2X Black colour but on 2-3 application it is a Super black intense colour with matte finish which i am loving. 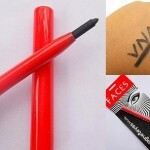 It is a waterproof and smudge proof kajal. 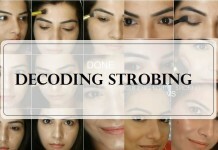 I apply the maybelline kohl in the morning and even by evening it doesn’t smudge at all which is again a great thing. After two hours of application, it was intact on my waterline and eyelid. After four hours i noticed a bit of fading from my waterline but it was still intact on my eyelid. So, it doesn’t stay for 16 hours as per its claim but it has a good staying power. Its stays for a good 6 hours on my waterline and 8 hours on my eyelid. When i washed my face with water, the super black kohl still didn’t budge. So i used some baby oil to remove it. 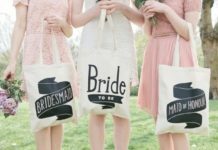 It is upto the mark for its waterproof and smudge proof claim. If it had stayed on for a few hours more on my waterline then it would have been the best kajal in India ever. The only issue i find apart from staying power is the price. If they had increased 25-50 rupees for the 2X Black thing it would have been fine but an increase of 125 rupees is too much because the quality is almost the same as the normal colossal kajal. 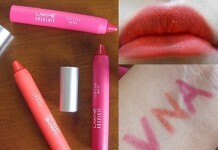 It is not the most affordable kajal in the market and girls might skip it seeing its price tag. 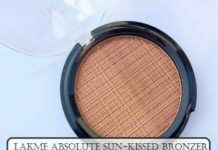 It is overall a good water proof and smudge proof kajal in my opinion and i can use it on alternate basis with my faces magnet eyes kohl. Stays on for 6 to 7 hours. Doesn’t tug or break on application. Suitable for sensitive eyes and contact lens users. Doesn’t stay upto 16 hours as per its claim. 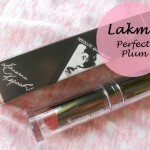 Conclusion: If you have been hunting for a kajal which is intense black, matte finish, waterproof and smudge proof, then this is a must have product for you. 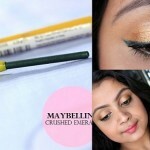 Have you used Maybelline Colossal Super Black Kajal? Share your reviews with us. Previous colossal kajal is cheaper than this and just for more blackness I won’t spend 125 rupees more! yes..you r right..just for blackness we cannot spend 125 rupees more.. I use faces long wear pencil and i love it to bits.. It doesn’t go anywhere until you use a make up remover.. 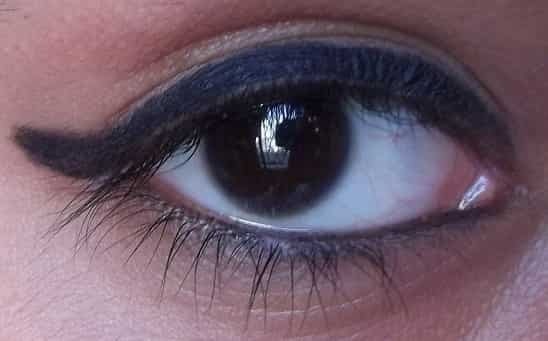 I love faces magnet eyes kajal..its not the blackest but stays for long on my waterline..
it really is blacker than the older one. those who are obsessed with their kohls might enjoy that. yes dear, you r right.. I would stick to faces magneteyes :) Loved the swatches and EOTD’s. not a fan of maybelline eye liners, i prefer the eyeconic over this one. I found it too creamy and tends to bleed mroe often in summers.